Shopping for a Mortgage: Do you know how? Read our tips and tricks. 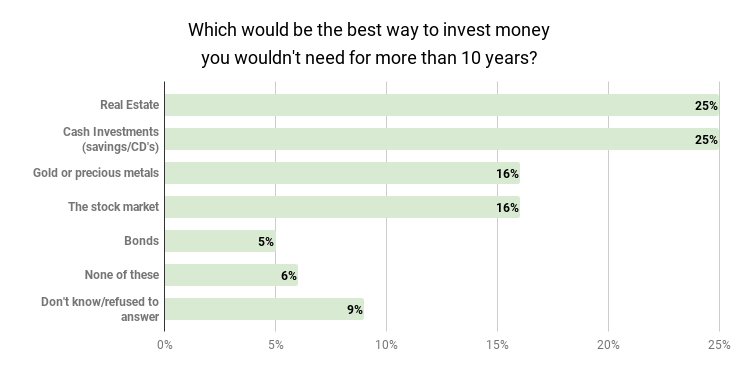 For most people, their home is the single largest investment that they’ll make –and it’s worth spending some time to make sure that investment is financed using the best loan possible. 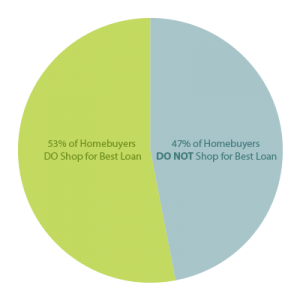 Sadly, though, nearly half of all mortgage buyers don’t end up shopping for a mortgage first. This is unfortunate since shopping around can lead to a far better loan; savings that could add up significantly over time. For example, finding a lender that could give you even a 1% lower interest rate can easily represent a savings of thousands of dollars –per year. For homebuyers and investors alike, it’s important to obtain a favorable loan in order to get ahead. Much like buying a home below market value is something that savvy investors look for; the terms of the loan will also have a big impact on your investment. To help make the process a bit easier, we’re going to walk you through the process, showing you how to shop for a mortgage. While shopping for a mortgage may sound confusing and overwhelming, the process itself is relatively straightforward. 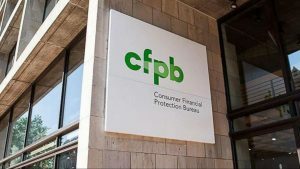 The Consumer Financial Protection Bureau (CPFB) has simplified the entire disclosure process in order protect consumers from predatory lenders. This means that rules are in place to help protect mortgage buyers. For example, mortgage brokers (but not lenders) must charge the same percentage on every deal, meaning they can’t just increase their margin “just because.” Other rules include the Ability-to-Repay (ATR) rule that requires lenders to make a reasonable, good-faith determination that prospective borrowers have the ability to repay their loans. These rules, and more help to provide strong protections for homeowners and are designed to help prevent risky lending practices which were common before the financial crash of 07/08. With this in mind, there’s a lot that you can do, as a buyer, to find a loan that’s favorable. Let’s take a look at some steps that you’ll want to take when shopping for a loan. It’s an all-too-common scenario. A home buyer walks into a Realtor’s office to discuss buying a home. The buyer’s excited, and has been looking at properties online, and has a list of homes that they want to see. Unfortunately, though, the buyer hasn’t talked to a lender and hasn’t been prequalified. Sadly, it turns out that they can’t afford any of the homes that they were looking at. This is unfortunate and can be extremely disheartening. To prevent this from happening, it’s a good idea to try to pre-qualify for a loan, before you start shopping. At Springs Homes, we do pre-qualification with home buyers as the first step in the home buying process. In order to pre-qualify, you’ll want to meet with a couple of lenders. You’ll give them some basic information about your current financial situation, including your credit score, wages, and the amount of money that you have for a down payment. The goal at this stage is to see if you qualify for a loan, and if so, what terms you qualify for: how much can you borrow, and what type of loan you’ll be eligible for –such as a conventional loan, an FHA loan –a first-time homebuyer’s loan with a low-interest rate, or a VA loan. 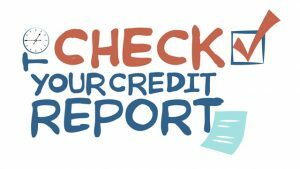 Before you go, you’ll want to check your credit score. This will help lenders to see where you stand and will give you an idea about whether you should move forward with the mortgage lending process, or whether it may be better to wait a few months and work to improve your credit score. If you’re worried that asking for your credit score will hurt your credit, don’t be –you’re entitled to a free credit report every year. Generally, a score that’s lower than 760 can negatively impact the loan that you qualify for, and you may be required to pay a higher interest rate or pay a fee to keep the rate down. Once you’ve taken a look at your credit score, you’ll know whether to move forward. If you proceed with the pre-qualification, you’ll want to ask your lender for a fee worksheet. This is a breakdown of the fees that they’ll be charging you, such as an origination fee and interest rate; as well as some costs that will be out of the lender’s control, including taxes and insurance. While the lender isn’t required to give you this, their refusal should certainly be a red flag and may indicate that you’ll want to shop elsewhere or go with a company that’s more transparent about their costs. If your credit score is a bit lackluster, there are a few things you can do to bring your rating up. Once you’re prequalified, you’ll have a much better idea about the type of properties that are within your price range. When shopping for a home, it’s generally a good idea to start out looking at properties that are on the low to mid-range of what you can afford, and then slowly raise the bar until you find a place that you’re happy with. You’ll also want to keep location in mind when searching. It’s one of the most important criteria for most people. Since it’s important to be near work, schools, and other places –it’ll be a key factor when making your decision. Plus, it’s one thing that can’t be changed unless you move again. You could always upgrade the kitchen at a later date, but location is something that’s a bit more difficult to change. You’ve found a house, written an offer, and the offer has been accepted. Congratulations! This is an exciting stage of the home buying process. Once you’ve reached this stage, you’ll want to send a copy of the contract to any lenders that you’re still considering after the pre-qualification process. You’ll also need to make a full loan application with any lender that you want to obtain a true estimate from. The Loan Estimate form is a three-page document that lenders are required by law to give you after you apply for a loan. This form helps borrowers to understand the full cost of the mortgage, including fees and interest. It’s an easy way to compare mortgage options and can help you to discover which lender is offering the best loan. The new form is set up to be simpler, and to eliminate any kind of closing table or last-minute bait and switch, thereby protecting uninitiated consumers. For an excellent detailed line by line description of the Loan Estimate Form, have a look at The Consumer Financial Protection Bureau’s website. The Loan Estimate must be given to the borrower within three business days of loan application. Note: Your loan officer cannot require you to provide documents verifying this information before providing you with a Loan Estimate. You’re not required to provide written documentation to obtain a Loan Estimate, and the only fee that can be charged is a small upfront fee for pulling your credit report, usually no more than $20. It makes financial sense to shop around for the lowest interest rate that you qualify for –and the loan with the most favorable conditions. Fortunately, Loan Estimate forms make it easy to compare lenders. Once you’ve obtained your Loan Estimates, you’ll want to take the time to look at what different lenders are offering. Comparing Loan Estimates is an important part of the home-buying process, and the best way to shop around for a mortgage. The two areas that you’ll want to pay special attention to are origination fees and the interest rate. You can also look at things like prepayment penalties, what a late payment will cost you, and whether the lender intends to process your loan or sell it –if this matters to you. You’ll also want to check to see if there’s a balloon payment –a large one-time payment at the end of the loan term. Make sure you take the time to look at these different terms and conditions. The last thing you’d want is any surprises after closing. You’ll also want to ensure that the monthly payments match your expectations and that you’ll have enough funds to pay your estimated cash to close. If you find anything that you’re not sure about or if you have any questions, be sure to talk to the lender. They’ll be able to answer any questions you have. Note: Make sure you compare the total dollar amounts if you’re looking at different-length terms. For example, a 15-year mortgage will have a higher interest rate, but will cost less in the long run because you’ll pay off the debt 15 years earlier. Finally, keep in mind that while a loan is a commodity, the lender is not. An inexperienced or unprofessional lender can cost you hundreds if not thousands of dollars. For instance, missed closing dates, or neglecting to lock in an interest rate could all cost you significantly. Before you go with a lender, take the time to ensure that they’re experienced and reputable. Talk with people that you know to see if they have anyone they recommend, and research potential lenders online to see what people are saying. Remember: the right loan can have a significant impact on your investment –so it’s worth taking some time to get this right. By shopping around, you can increase your chances of securing a lower interest rate, so do your research and find a lender that’s right for you. “Tips on How to Get The Best Mortgage”– This article was written by Bill Gassett and takes a comprehensive look at the mortgage shopping process. This is a must read if you’re in the market. “Everything You Wanted To Know About Your Mortgage Rate Lock And More”–By Kevin Vitali is a detailed look into the vitally important subject or locking your mortgage rate. “20 Important Mortgage Terms To Know”– This article by Paul Sian, takes a look at the industry jargon you’ll need to understand when you are looking at loans.